We are in the process of planning our 2018-2019 events programme launching at the beginning of September. One of programme is running a Fundraising Cohort which will include training focusing on fundraising strategy, specific types of fundraising activity along side peer support. The cohort will comprise up to six museums represented by up to 12 participants (a pair of participants from each museum), who will undertake a combination of facilitated group meetings and 1:1 sessions at the participating sites with an experienced consultant. Participants are encouraged to attend in pairs so that there are two representatives of each museum. We have found from experience that this ensures a greater ownership of the process and that positive organisational change is more likely as a result. The strength of the cohort approach is that ideas, progress and successes are shared among participants as they work towards a clear goal, generating helpful discussion and a valuable informal peer support network. The aim of the project is to work with one cohort for period of up to 9 months to develop fundraising strategies. The purpose of the support is not to do the work for the museums, but to support the development of skills and knowledge to build their capacity to fundraise. It is anticipated that the first meeting will focus on creating a fundraising strategy, with the content of subsequent meetings being tailored to suit the needs of the participants. We plan for the cohort will be active between October 2018-June 2019, although this timescale could be condensed. The project should also develop resources and guidance documents that can be uploaded onto the SHARE website and used by other museums to help them with their fundraising activities; for example a ‘how to’ guide, spreadsheet template, ‘top tips’, recommended reading or blog article. Therefore we invite tenders for a Fundraising Cohort Facilitator, please see the Cohort Facilitator Brief. Please send a proposal outlining how you would fulfill this brief to Miranda Ellis, closing date is the 5pm on Tuesday 28th August 2018. In 2015, my manager nominated me to apply to the Changemaker programme. As I read through the invitation to apply, I was uncertain as to my suitability, but could recognise the opportunity. SHARE were looking for 12 established museum professionals with commitment to working in museums, some level of responsibility, and the desire and ambition to make change happen and to develop their own leadership potential. Change was evidently going to be a key part of this programme (the name ‘Changemakers’ was a bit of a clue), yet it is often something we fear or dread, and often in the museum sector it can seem to be something that happens to us, rather than something we ‘make’. Clearly, SHARE wanted to equip participants for just such circumstances – the change that happens to us, and also to consider making changes ourselves. So the 12 of us who were chosen have spent just over two years becoming Changemakers, and there have been plenty of changes over that time! (began Changemakers as Heritage Access Officer for North Hertfordshire Museum, and am now Collections Manager at the Museum of Domestic Design & Architecture at Middlesex University. Babies have been born, roles and jobs have changed, and we said goodbye to SHARE co-ordinator Simon Floyd and hello to Jamie Everitt, Regional Museums Development Manager, as one of our facilitators. It has been such a valuable experience, overseen throughout by Vanessa Trevelyan, past director of Norfolk Museums Service and now a consultant and museums adviser, in keeping with the excellent training and networking opportunities offered by SHARE Museums East generally. Meeting together at regular intervals gave us the opportunity to visit each other’s organisations. We enjoyed time at Flag Fen, the Museum of East Anglian Life, IWM Duxford, Strangers Hall Norwich, HMS Belfast, Ipswich Art Gallery, North Hertfordshire Museum and Moyse’s Hall Museum. Two residential sessions were spent at the Cambridge Moller Centre, part of Churchill College, which is a fantastic conference centre. It was so valuable to have extended time away; a day for a session was great, but could be taken up by a lot of travelling, and sometimes seemed to be over almost as soon as it started. The residential sessions allowed us to spend more time on activities and also just chatting with each other. Not only did we work together trying out various strategies and techniques to employ back in our workplaces, but we also benefitted from visiting speakers giving up their time to share some of their wisdom and experience. Over the course of the programme we heard from: Steve Miller, Head of Norfolk Museums Service; Kate Carreno – Assistant Director of the Fitzwilliam Museum: Ruth Burwood, Museum Development Project Officer with responsibility for Accreditation; Cat Hobbs, Director of We Own It, a campaigning organisation; and Bill Seaman, Director of Colchester & Ipswich Museum Service. Over this time, we have developed a supportive network of museum professionals facing similar dilemmas. Each meeting has provided a safe environment to articulate, discuss and find solutions to current challenges. It has been a kind of therapy to find out that the challenges we face are not ones we face in isolation, and we have been able to make use of each other’s experiences and reflections to work out strategies in difficult situations. Activities like active listening exercises, courageous conversations and multiple cause analysis – looking at what is at the root of a problem, and what actions on your part will make the most difference – have improved our ability and confidence to assess situations, helped develop interpersonal and negotiating skills, and given us problem solving approaches to equip us for our changing environments. Perhaps the most valuable aspect of Changemakers has been this opportunity to reflect on the experience and skills that each of us has, to develop confidence in our own abilities and resilience in the face of the many challenges in our sector. Wherever our career paths take each of us next, we recognise all that we have to offer our work places and the wider sector, and have seen the value of sharing our knowledge and skills. SHARE Museums East is a great resource for equipping and connecting museum professionals, and the Changemakers programme has been a great way to help us develop good leadership practices. These will not only benefit those of us who participated, but our workplaces, those we manage, and those we mentor. I hope SHARE is able to offer similar programmes in the future, as investing in museum professionals to develop their potential and the potential of the wider sector and fellow professionals is an invaluable way to secure the future of the sector as a whole. I have been in post nearly 10 months now as the Museum and Collections Manager at the Sheringham Museum at the Mo, on arrival it became quickly apparent how wonderful all our volunteers are. In short we wouldn’t have a museum without them! When the Share Volunteers awards nominations opened I was left with a dilemma, many of them would have qualified, and perhaps I should have nominated them also, but where do you start? In discussion with my Chair of Directors and the support of the board I chose to only nominate one of our volunteers, Colin Seal. He thought I was joking when I said I had nominated him and the invitation came through for him to attend the ceremony, genuinely he was surprised! It was very easy to write in support of Colin, what he does for the museum could not be listed in the word count available, or easily quantified. He not only is onsite every day and gives his all, for a septuagenarian his enthusiasm for life is endless, he not only is a key figure for us at the museum but also for the whole town. His work radiates out from his artist’s studio in the museum, all along both ends of the prom and up the high street. 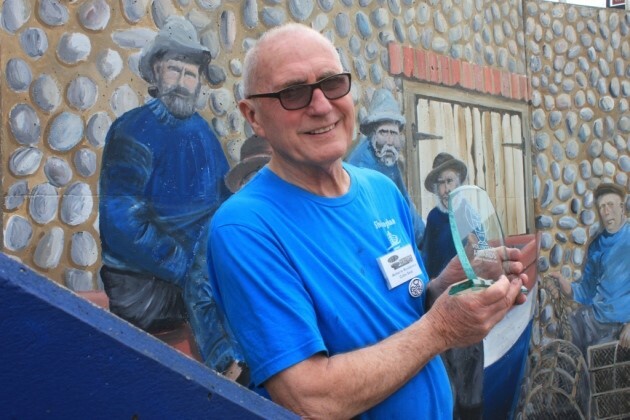 His paintings are part of what makes Sheringham Town special, and the visitors love not only his paintings but him too. He always has time to chat to people, he loves life and has an enduring ‘glass half full’ attitude which is infectious. One of the things he first said to me when he was planning the last Viking Festival was that he would like to go to Valhalla with a paintbrush in his hand, very fitting but not yet Colin, there is so much more we need you to do! I was looking forward to the Volunteers Co-ordinators Forum session on museums as contributors to wellbeing for volunteers at Gainsboroughs House in the first week of May. I have previously enjoyed SHARE events as an education volunteer, but in my new role as a Wellbeing Co-ordinator at the Higgins, Bedford, my focus is to expand our wellbeing programme whilst developing and maintaining strong relationships with our volunteers. Miranda Stearn, Head of Learning at the Fitzwilliam started with a succinct discussion around the meaning of wellbeing and how it works with targeted museum audiences. The research undertaken by bodies from parliamentary groups, the HLF, the Arts Council, Wellcome and the National Alliance for Museums, Health & Wellbeing highlighted the commitment to partnership working with experts in the field of social care in this relatively new area. On a local scale, the importance of museums linking with GP practices to offer ‘social prescribing’ with wellbeing activities in a non-clinical environment will be invaluable. Then, a speaker from outside the museum sector, giving us a refreshing and different perspective; Craig Weeks from Macmillan Cancer Support. Their carefully considered structure of volunteer management practice from recruitment, induction, support and supervision, including toolkits for managers, demonstrated how dedicated the organisation is to looking after the wellbeing of their 20,000 + volunteers. Effective support to people helping others in such a sensitive area is vital. I was interested to hear that not all volunteers like being called volunteers! People ‘giving their time’ can be a more appropriate description. Despite admitting that they hadn’t got everything right, the principles of having a happy, relaxed, confident, skilled, secure and safe volunteer workforce are embedded in Macmillan’s ethos. Jenna Ingamells, Museum Project Officer for Suffolk, discussed the positive health and wellbeing benefits of museum engagement in four Suffolk museums. ‘Creative Heritage & Art in Mind’ workshops enabled people to improve their mental wellbeing through creating work inspired by what was around them. The emphasis on a local narrative with people being connected to the community through art and objects is a great strength. ‘The Men’s Shed’ at Leiston was particularly inspiring. Mainly retired men have used their skills to put back together an engine from the museum collection and in the process enjoyed the company of others and reduced feelings of social isolation. The ‘Lowestoft Rising’ project highlighted the mutual benefits of working in partnerships. Matching the needs of the Job Centre and the museum was interesting, where job seekers are able to gain confidence and life skills by experiencing a taster in all aspects of museum work learning alongside existing volunteers. David Blackburn concluded the day with an interactive session on what forum members wanted as topics and themes for future sessions and who might ‘own’ these (with support from the steering group with venues and speakers). Some of the ideas could be linked to create a full day of discussions and will be circulated to the group. The final evaluation of the day; ‘did well’, ‘learned’, ‘do better’ and ‘still puzzled’ was a quick and effective evaluation tool and something I can see myself using in the future. Thanks to Niki Hughes for organising the day and staff at Gainsboroughs House for being such excellent hosts. Engaging with old and new colleagues is always time well spent. However, trying to resist tasting all of the wonderful cakes was the real challenge of the day! At this year’s Natural Sciences Collections Association conference, held at Leeds City Museum and titled ‘The Museum Ecosystem: exploring how different subject specialisms can work more closely together’, it really seemed like all aspects of this ecosystem were represented. 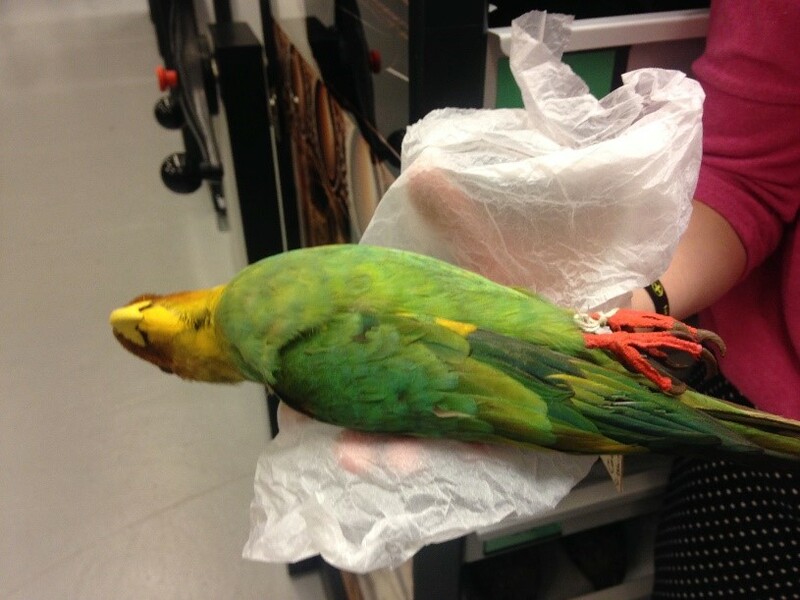 Those involved in natural history collections, whatever their job title – be they curators, conservators, technicians, academics, educators, communications specialists, or any of the many other roles in found in museums, archives, and collections – all share a passion for, and a fundamental understanding of the importance of, the specimens in their care. This conference was a fantastic opportunity to meet, and hear from those working across the huge range of subjects encompassed by the network. Unlike most presentations many of us are used to giving, the speakers here did not need to spend precious time justifying why their specimens were worthy of attention, funding, and/or study. From huge collections of thousands of mollusc specimens with just half a dozen dedicated specialists based in UK museums putting together the Great British Mollusc Types project, to the decision of Tullie House Museum and Art Gallery to accept (and ‘process’…) a 40 ft long fin whale carcass from where it was rotting on a beach in West Carlisle four years ago, everyone in the audience understood the intrinsic ‘value’ of these collections and our activities. 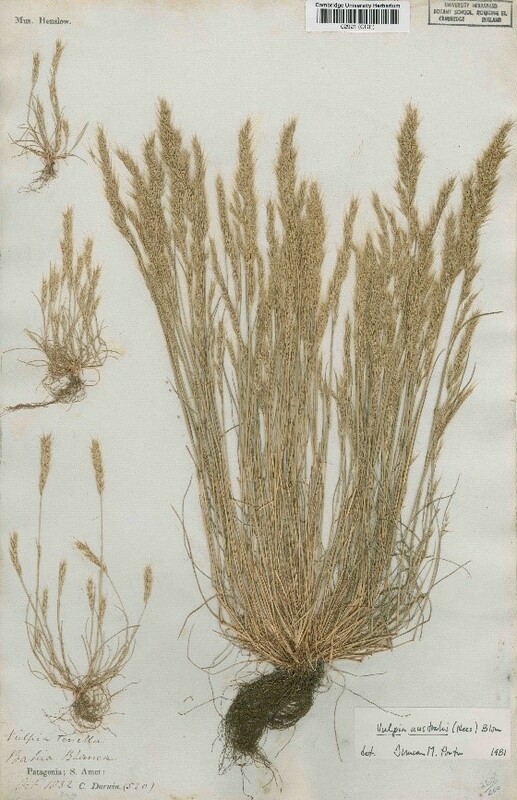 One of the Royal Horticultural Society’s Standard specimens, as presented by Yvette Harvey and Saskia Harris. The overall conference theme was looking at how different collections use collaborations with different fields of expertise, audiences, and approaches to explore, use, and interpret their specimens. It is so difficult to pick the highlights as the entire programme was excellent, but the following memorable talks should give an idea of the range of collections and angles covered. Adam Smith and Martin Nunn from Nottingham City Museum and Galleries presented how their collaboration with colleagues at the University of Nottingham and in China led to an innovative exhibition of never- seen-before-in-the-UK skeletons, displayed in spectacular manner. Yvette Harvey and Saskia Harris from the Royal Horticultural Society showed how they are engaging members of the horticultural world in the importance of documenting cultivated varieties with the horticultural equivalent of Type specimens – ‘Standard’ specimens to which cultivar names can be permanently attached. David Gelsthorpe from Manchester Museum and Donna Young from the National Museums Liverpool showed us the dramatic and visually stunning results of their work bringing art and science together in their exhibition ‘Object Lessons’. Several talks focused on different ways in which to engage through formal and informal teaching – from Alastair Culham talking about the integration of the Herbarium at the University of Reading into undergraduate and graduate teaching, to Felicity Plent and Bronwen Richards from Cambridge University Botanic Garden talking about their collaboration with the Fitzwilliam Museum and local nursery schoolchildren. The challenges of collaborating and engaging with different audiences was a particularly interesting area for a number of talks, particularly Mark Carnall from the Oxford University Museum of Natural History talking about their LGBTQ+ tour of natural history collections, and how they tackled some of the (often very interesting and thought-provoking) conversations that ensued with some colleagues and members of the public. 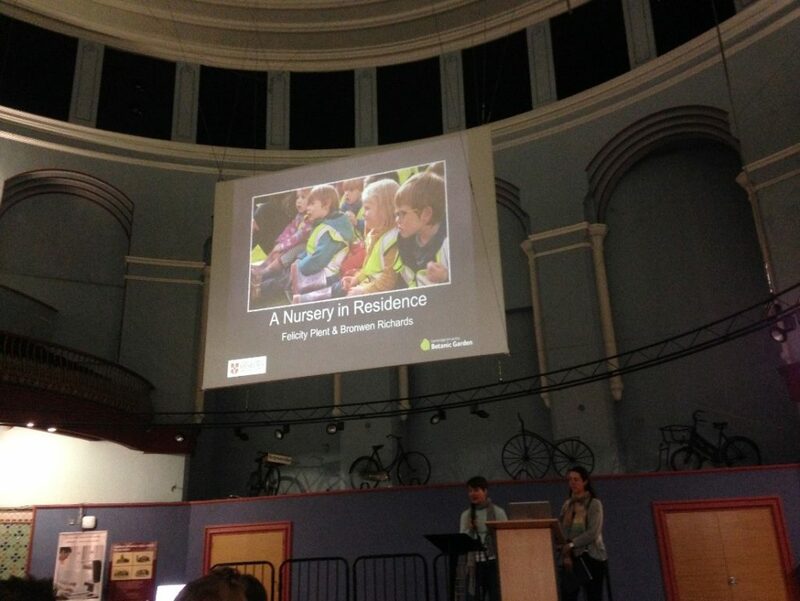 Felicity Plent and Bronwen Richards presenting their ‘A Nursery in Residence’ project between the Cambridge University Botanic Garden and the Fitzwilliam Museum. Our hosts, Clare Brown and Rebecca Machin and Leeds Museums and Galleries, put on a fantastic meeting, with the NatSCA committee. It was a brilliant balance of a warm and welcoming group of like-minded people and an inspiring programme of interesting and informative, thought-provoking, and entertaining talks, with plenty of opportunities for discussion and meeting people during the excellently catered lunches, a super drink reception in the Life on Earth Gallery of the Leeds City Museum, and a really super vegetarian thali feast at local favourite, Hansa’s restaurant. A brilliant end to a super conference was provided in the form of behind-the-scenes tours to see the Leeds Discovery Centre, situated to the south of the city centre, near the docks – home to over a million objects, covering botany, zoology, geology, social history, archaeology, world cultures, textiles, furniture… all stored with their associated data, in climate-controlled pest-free conditions. This really is a dead parrot. Conuropsis carolinensis (the Carolina parakeet), endemic to the USA and once widespread before being hunted to extinction, now in the collections at Leeds Discovery Centre. I am very grateful to the SHARE Natural History Network and NatSCA for their generous support which enabled me to be able to attend NatSCA 2018. My own presentation at the conference focused on just some of the treasures of the Cambridge University Herbarium and some of the collaborations I’ve been working on and developing since I became the new Curator six months ago. As I start to put together a strategy for managing and utilising the collections in the future, building on existing and forging new collaborations with other collections is going to be extremely important. As reinforced throughout this conference, we can all learn a lot from different approaches and areas of expertise, and working together on projects opens up all sorts of new possibilities for our collections, and I look forward to working with other members of the network a lot more in the future! 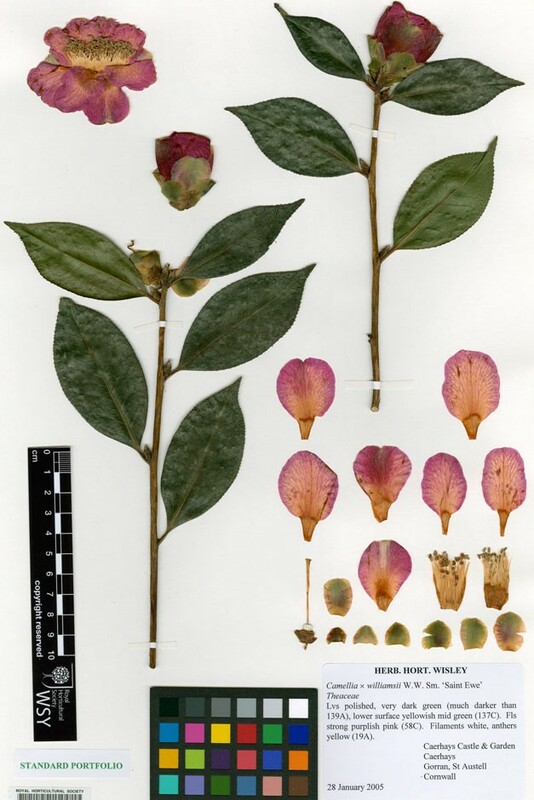 One of Charles Darwin’s botanical specimens collected on the Voyage of the Beagle and now housed in the Cambridge University Herbarium.